I've been having this issue for quite a while now, and that is that Mi-24s I call in as air support never show up, or so I thought. Eventually I worked out that they did appear, just way too high. BTW I'm using the steam version. Feel free to ask questions if you think it might help. Changed the order of attack helicopters. 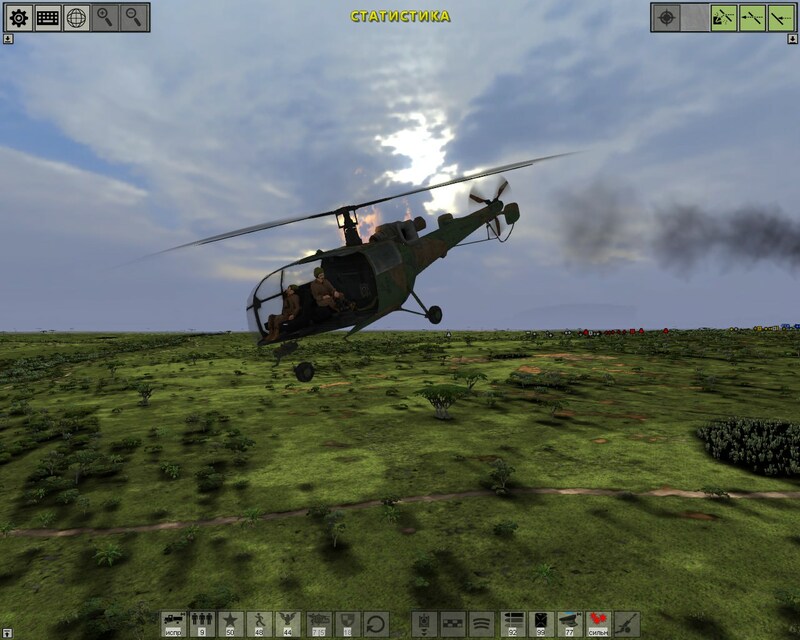 Perhaps this is a mistake, "bug" - helicopters copy the actions of jet fighter-bombers. You might have something there, because very rarely the helicopters act as they should and fly low enough to attack. I think this issue was caused by messing around with a mod, so maybe a config file got buggered somewhere. No, at me too most, earlier so was not. This is either an automatic official patch or a bug. The moderator or the administration should be asked in a personal message. So Hemul or Kyth then?